Corner sites allow for two facades, a corner entry, and often a tall spire at the joining angle. 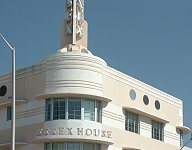 See, for example, the Tiffany Hotel and the Tudor Hotel by L.Murray Dixon, both dated 1939. 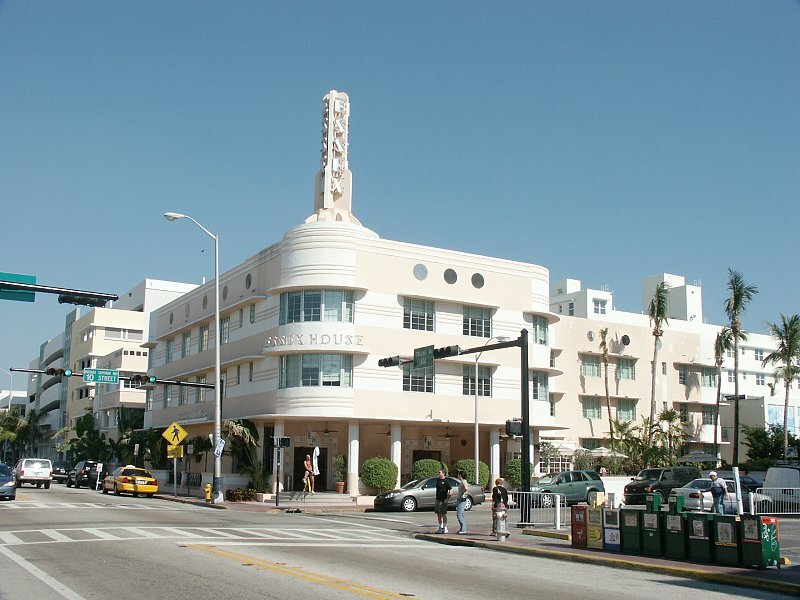 Here, as is usual in Moderne hotels in Miami Beach, the two side facades are not identical. The nautical motif is evident in the shape of the building as well as the portholes at the top. 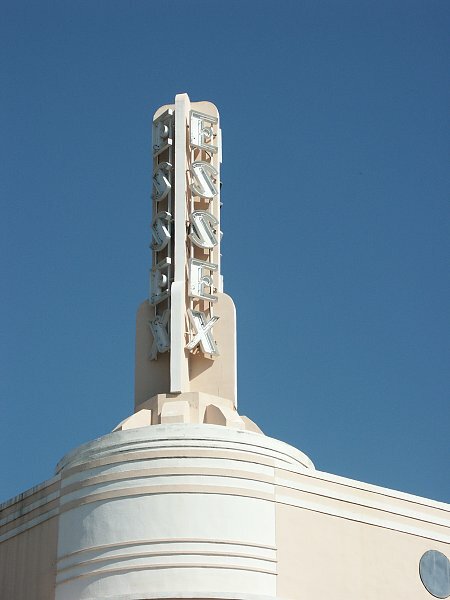 Streamlined curves, continuous eyebrows, decorative stripes, and a metal spire, illuminated by neon, all contribute to the dramatic effect of this hotel, thought to be one of the best works by its architect, Henry Hohauser. 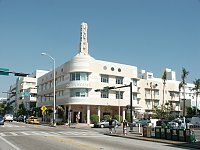 See the Index for other Miami Beach works by Hohauser.